Welcome to A Sampling Bee! Today, I share with you Savi Bars from Savant Naturals! 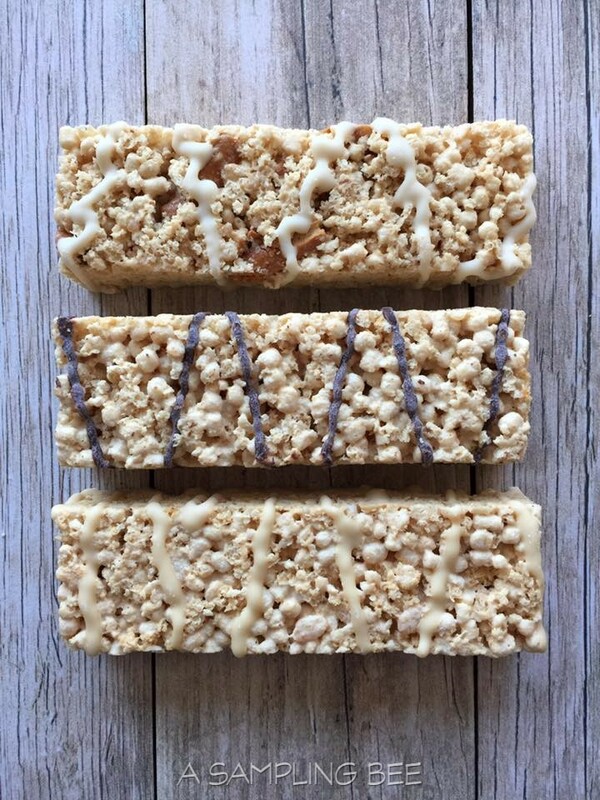 Savi Bars are crispy and delicious. They are all natural and made with NO artificial colors, flavors or sweeteners. This bar is called a dessert protein bar because you can enjoy it any time. After a workout, on the way to work, after dinner or for a snack! 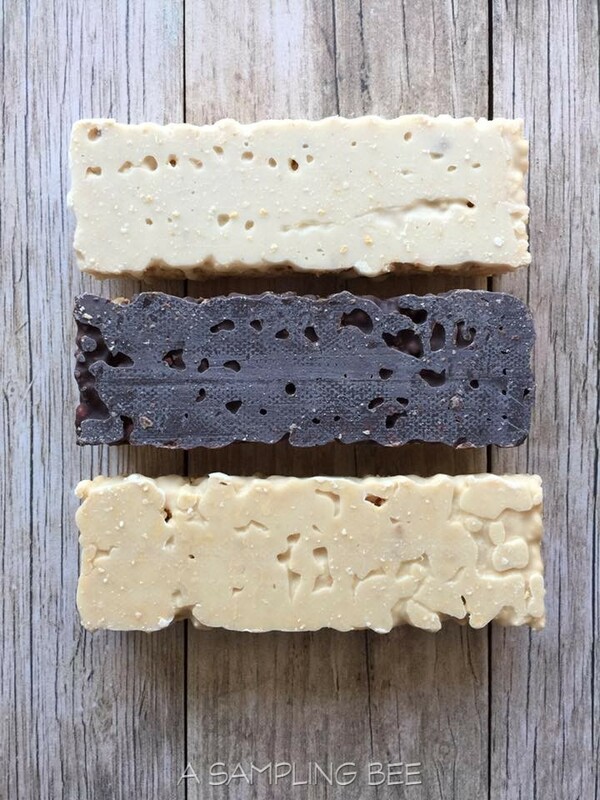 Savi Bars come in 3 awesome flavors: Salted Caramel, Chocolate and Vanilla Dream. Savi Crisp Vanilla and Chocolate dessert protein bars contain the following allergens: Soy, Milk, and Egg. Salted Caramel contains Soy, Milk, Egg and Almonds. Savi Bars are also made in a facility that processes wheat, peanuts and tree nuts. All products are tested for gluten after production. What are the macronutrients of your Savi Bars? Salted Caramel is a blend of salted caramel, creamy marshmallow and gluten-free pretzel bits. Chocolate is a blend of dark chocolate and creamy marshmallow. Vanilla Dream is a blend of toasty-sweet marshmallows, vanilla and white chocolate. 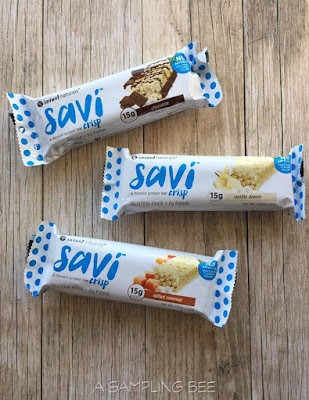 Savi Bars are a great snack or dessert. I like them because they are crispy and light. The 3 flavors are amazing. They're full of flavor and sweetness. My favorite is the Salted Caramel flavor because it's full of small bits of caramel. So yummy! 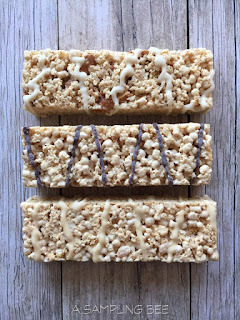 My sons call Savi Bars "cereal bars." 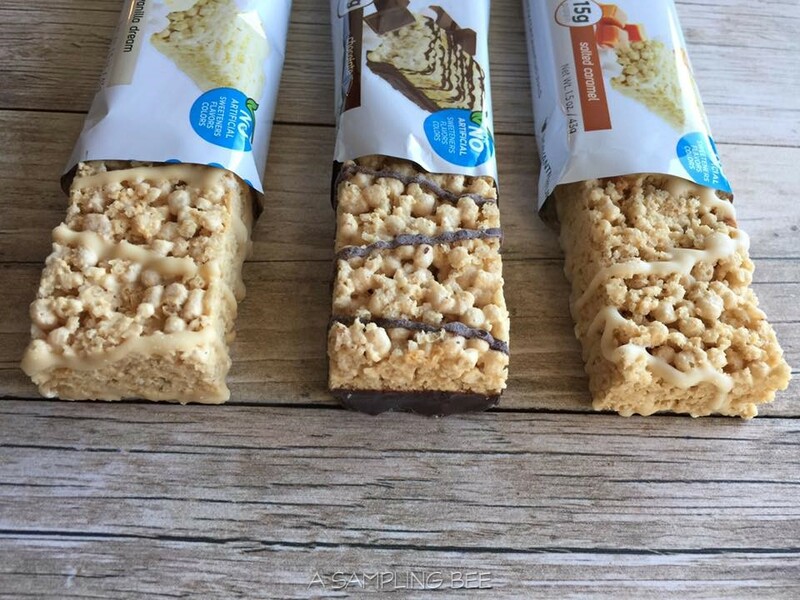 I agree with them, they are very similar to a cereal bar(and I feel good about giving them Savi Bars). 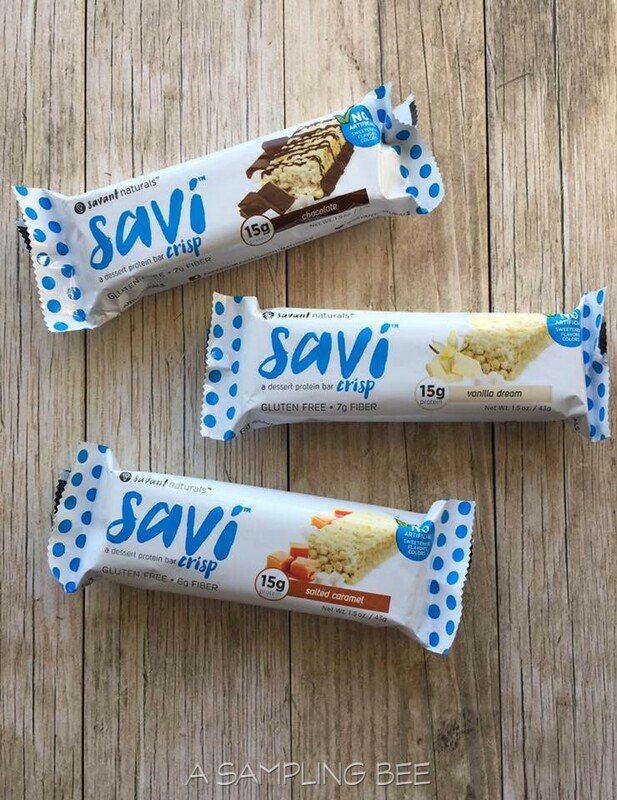 With that said, Savi Bars are great to take with you as a snack on-the-go, to school, work or while enjoying the outdoors. Savi Bars are packed with protein and fiber. I highly recommend them! 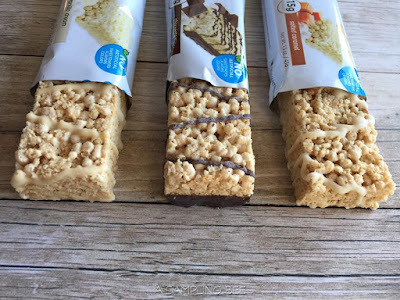 I received Savi Bars in exchange for my honest review. All opinions are my own.Always! Visit https://savant-naturals.com/ for more information. They all appear to contain rice which is has gluten. All grains have gluten, it is the protein in the grain. Question is, does it contain corn and corn gluten, what I have a serious medical tested allergy for?